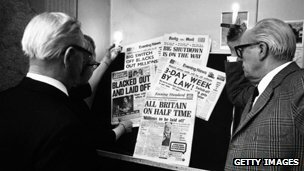 In the 13 months between August 1972 and August 1973, 60 events were reported as muggings in the national daily newspapers. Dramatic individual cases of such crimes were highlighted in the media. On the 15th of August 1972, Arthur Hills was stabbed to death near waterloo station. For the first time, a specific crime in Britain was labelled a mugging in the press. On the 5th of November 1972, Robert Keenan was attacked by three youths in Birmingham. He was knocked to the ground, and had some keys, five cigarettes and 30 pence stolen. Two hours later, the youths returned to where he lay, and they viciously kicked him and hit him with a brick. It was stories such as these that highlighted an apparently new and frightening type of crime. Judges, police and the politicians lined up with the media in stressing the threat that this crime posed to society. Many commentators believed and thus the discourse became, that the streets of Britain would soon become as those in New York and Chicago. The Home Secretary in the House of Commons quoted an alarming figure of a 129 per cent increase in Muggings in London in the previous four years. Hall et al. see these reactions as a moral panic. (An exaggerated outburst of public concern over the morality and behaviour of a group in society). Hall tried to explain why there should be such a strong reaction to, and widespread fear of, mugging. Hall rejected the view that the panic was inevitable and understandable reaction to new and rapidly increasing forms of violence. As far back as the nineteenth century, footpads and garrotters had committed violent street crimes similar to those of the modern mugger. Violent robberies were not, therefore a new crime at all – indeed, as recently as 1968, an MP had been kicked and robbed in the street without the crime being labelled a mugging. Hall noted that there is no legally defined crime as mugging. Since in law there is no such crime, it was not possible for the Home Secretary accurately to measure its extent. Hall’s study found no basis in the criminal statistics for his figure of 129 per cent rise over four years. From Hall’s examination of the statistics there was no evidence that violent crime was particularly rising fast in this period leading up to the panic. Using the nearest legal category to mugging – assault with intent to rob – the official statistics showed an annual rise of an average of 33.4 per cent between 1955 and 1965, but only a 14 per cent average annual increase from 1965 to 1972. This type of crime was growing more slowly as the time the panic took place then it had done so in previous decades. For these reasons Hall could not accept that the supposed novelty or rate of increase of the crime explained the moral panic. 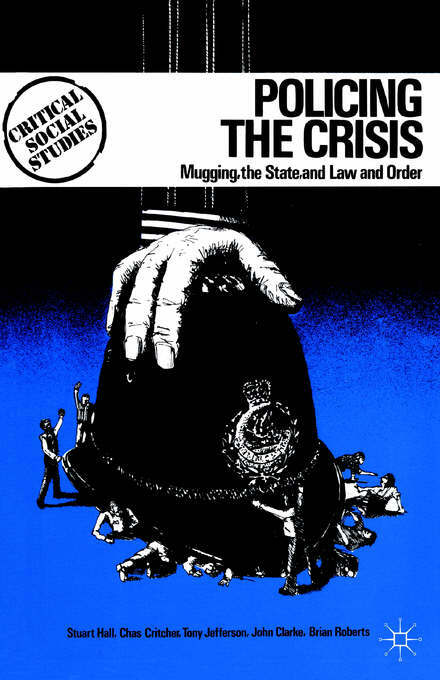 He argued that both mugging and the moral panic could only be explained in the context of the problems faced by British capitalism at the start of the 1970s. Economic problems produced part of the ‘crisis’. Hall accepted the Marxist view that capitalist economies tend to go through periods of crisis when it is difficult for firms to sell goods at a profit. In 1970-72 the British state faced both an economic crisis and a crisis of hegemony. From 1945 until about 1968 there had been what hall called an inter-class truce, there was little conflict between the ruling and subject class. Full employment, rising living standards and the expansion of the welfare state secured support for the state the acceptance of its authority by the working class. As unemployment rose and living standards ceased to rise rapidly, the basis of the inter-class truce was undermined it became more difficult for the ruling class to govern by consent. Hall provides a number of examples of the challenge to the authority to the hegemony of the state. Northern Ireland generated into open warfare. Since the government was no longer able to rule by consent, it turned to the use of force to control the crises. It was in this context that street crime became an issue. Mugging was presented as a key element in a break-down of law and order. Violence was portrayed as a threat to stability of society, and it was the black mugger who was used to symbolize the threat of violence. The government was also able to resort to the use of law and direct force to suppress and groups that were challenging them. Force could be justified because of the general threat of violence. Special sections of the police began to take action against the ‘mugger’. The British Transport \police was particularly concerned with the crime on the London underground. |Hall claimed that the police in general and this special squad in particular, created much of the mugging that was later to appear in the official statistics. Hall gives as an example of police pouncing unannounced of African-Caribbean youths of whom they were suspicious. Often this would provoke violent reaction in self defence by the youths, who would then be arrested and tried for crimes of violence. Many of the muggers’ who were convicted following incidents like these had only police evidence used against them at trial. ‘Victims’ of their crimes were not produced because hall implied there were no victims in some cases. Labelling helped to produce the figures that appeared to show rising levels of black crime, which in turn justified stronger police measures. Hall did not claim that the reactions to crime, ‘mugging’, and other ‘violence’ were the result of a conspiracy by the ruling class. The police, the government, the courts and the media did not consciously plan to create a moral panic about street crime; the panic developed as they reacted to changing circumstances. Neither where the media directly manipulated by the ruling class or the government; different newspapers included different stories, and reported mugging in different ways. Nevertheless, there was a limited range of approaches to the issues in the press. Most stories were based on police statements or court cases or were concerned with the general problem of the ‘war’ on crime. Statements by the police, judges and politicians were therefore important sources of material for the press. Consequently, the newspapers tended to define the problem of mugging in similar ways to their sources; criminal violence was seen as senseless and meaningless by most of the press. It was linked to other threats in society such as strikes, and was seen and portrayed as a crime that needed to be stamped out as quickly as possible.